We spend most of our day at work, but we don’t always know the people who actually work with us. With this activity, you can count on employees getting to know each other quickly and naturally! What did your colleagues look like at age 14? What was the most beautiful place someone on your team traveled to? Who has an unusual or especially funny pet at home? You’d be surprised how much you don’t know about the people you see every day—and how much collaboration can increase when you know more about each other. Come discover surprising (and inspiring!) new things about the people you work with! On the first day of the activity, company employees receive a questionnaire with fun, non-traditional questions that they have to fill out within two days. After that, the employee trivia begins! 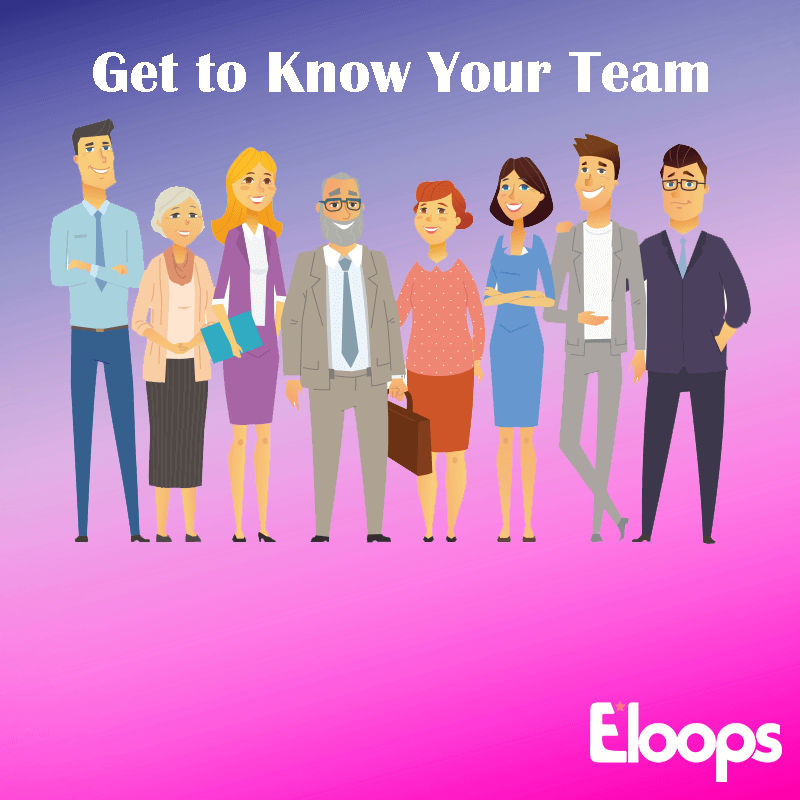 At the end of each day, we publish a post on your company’s Eloops app with answers provided by the employees to certain questions—anonymously. Their colleagues then have to guess who provided the answers. Every morning, we publish the list of the previous day’s winners, and at the end of the challenge, the app features a leaderboard and the highlights from the game. This game is great for a department or team that wants an increased sense of team bonding. Because it’s all shared in the app, both those who participate and those who are just browsing enjoy a unique way of getting to know their peers.